Originally published as a private printing in 1940, this later printing (1947 or later) has a black binding and a dustcover. The second printing added an index and the pagination is different from the original. One of the earliest books on the subject of paperweights. 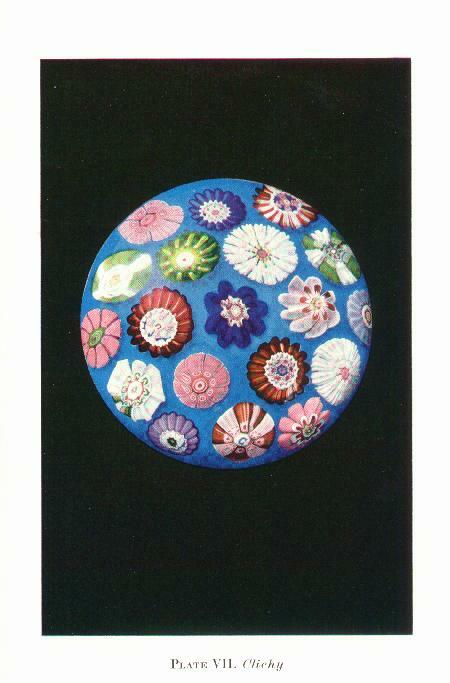 Evangaline Bergstrom was an early collector whose collection formed the basis for the world's only museum devoted solely to paperweights, the Bergstrom-Mahler Museum in Neenah, Wisconsin. 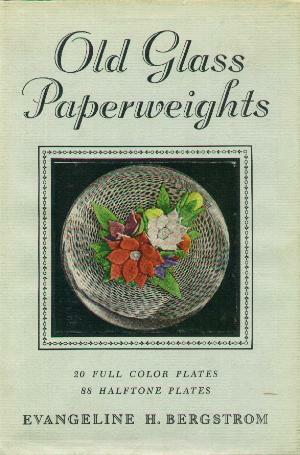 It has been suggested that this book did more than any other to popularize paperweight collecting. 132 pages with 83 black and white plates plus 20 color plates. Hard bound. 6 1/2" by 9 1/4". 1947 or later.